is almost the same at both countries. A similar trend is observed in Spain and Portugal. price of cigarette is the same and 3.6 Euro per package in both countries. The study found that cigarette prices tended to be higher in nations with strong tobacco control programs. policies were weak, including the Japan and Switzerland, the study found that prices remained relatively low. Marlboro costs smokers $6.48, in Norway. On the other hand, in Japan, the price was $2.34 per pack. the price of a pack of cigarettes above $8 in most places. countries, and the minutes of labour required to purchase 20 cigarettes. dedicated to tobacco control, health promotion or general health care. Smoking goes down as prices go up. because of the increased cost. 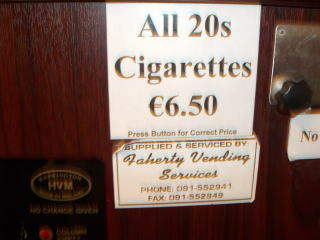 The cigarette price showed in an Ireland automatic vending machine (2006). 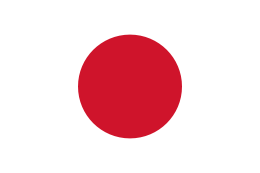 calculated in Japanese Yen as of June 2008. Tobacco prices and smoking rate in the 20 ODCE countries. in 20 OECD countries. The highest percentage of smokers reported was 39.7% in Greece. investigated times, e.g., at Austria in 2006, Switzerland and Ireland in 2007, other countries in 2011.
we should read it as a reference data. - Commented by Junhaku Miyamoto, M.D.,PhD. 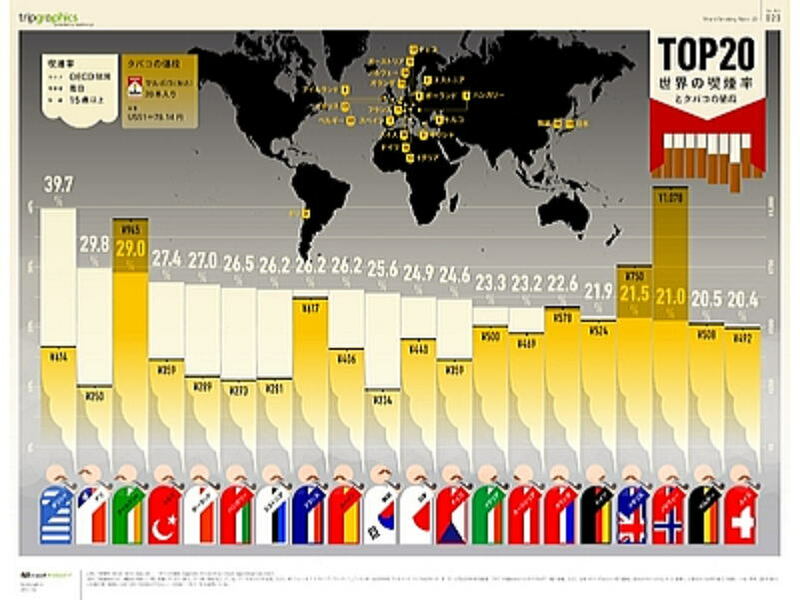 TripAdviser disclosed the tobacco prices and the smoking rate in the top 20 countries. However, the time of a survey is different, and we cannot evaluate it very scientific. We should understand the reported numerical analysis is as a reference data. and last updated in Decemberr 2014. Cigarette price should be raised to 1000yen a pack.